Soul Breaker by Clara Coulson, a.k.a. Therin Knite, is not only an Urban Fantasy, but also a fast-paced police procedural, only the police are a special division of paranormal detectives called DSI (Department of Supernatural Investigation). The expression “page-turner” comes to mind. Clara Coulson has a style and pacing which make for a quick read. In the magic users’ underworld of Aurora, DSI agents are referred to as Crows; hence the name of the series, City of Crows. Within the pages of this somewhat campy-supernatural-Urban Fantasy-whodunit, we meet Cal Kinsey, an entry-level investigator with the DSI. The man is rather cocky but not too sure of himself at the same time. He wears a confident face for the sake of other DSI agents. However, self-doubt, botched moments during an investigation and a haunting prologue experience make for a well-rounded character. All in all, the main character’s inner thoughts, personality, et al are positives. The only “con” would be a bombshell about Cal Kinsey dropped into chapter 24. There was no previous reference or hints about a peculiar aspect of his personality. This information has no bearing on the rest of the book, either. Don’t fret, though, this little surprise quirk doesn’t take anything away from the overall entertaining aspects of Soul Breaker or its main character. Although written in the first person, Soul Breaker doesn’t suffer from overusing “I.” In fact, Ms. Coulson seems quite adept at using beats and other body language to prevent large blocks of talking-head or speaker-tag-laden dialog. Except for two lesser characters, Riker and Delarosa, most of the DSI agents tend to speak in millennial voices. I would’ve preferred more professionalism in their speech. Perhaps it is my middle-aged eyes. Of course, the mannerisms of the agents do lend to the campy quality. The complicated plot is properly paced and I didn’t spot any holes. Clara Coulson has created and delivered a story which could’ve gotten out of hand and drifted quite easily. There could’ve been a lot of info dumping concerning magic and the Eververse. However, the world-building information is properly presented in dribs and drabs, and woven into the text quite well. Soul Breaker is the first in a trilogy. The good news is you won’t have to wait for the rest. The second book, Wraith Hunter, the third, Shade Chaser, and a novella, Dream Snatcher, are ready for purchase. I’m looking forward to another adventure with Cal Kinsey, the DSI, and interesting Eververse creatures invading our realm. I love a good detective story, and Colin Garrow delivers beautifully within the pages of Death on a Dirty Afternoon (The Terry Bell Mysteries Book 1). The most interesting detective / thrillers always have an ordinary John Q. Public thrust into a mystery that needs to be solved for self-preservation (for example, The Thirty-Nine Steps, North by Northwest, or The Man Who Knew Too Much, all directed by Alfred Hitchcock). This wry whodunit follows that tradition, telling the tale of a cab driver named Terry Bell who becomes a suspect in a series of murders. The cabbie must conduct his own investigation in order to prove his innocence. In the Author’s Notes, Colin Garrow states that he did spend some time as a cab driver in a seaside English town. The otherwise quaint setting for tourists is a veil for a seedy underworld culture lurking in the city. Naturally, a cab driver would get familiar with the locations of brothels, and at least be acquainted with certain “less than savory” residents. He worked this aspect of a cab driver’s life into the story, and it lends credence to the overall plot. Author Colin Garrow has a flowing style which never comes across as heavy-handed. I did not have to backtrack at any point. I am in disagreement with some reviewers at Amazon who stated that the author should’ve Americanized some of the dialog instead of delving too deeply in local slang and accents in the UK. An author must be honest and try to present a true representation of the setting. Good show, Colin. Also, Mr. Garrow daringly wrote this clever story in the first person. I usually shy away from that narrative perspective. My ears screech too often in critique sessions when someone makes an attempt at writing in the first person. Normally, the word “I” is used 45-60 times per page. Therefore, I usually beg them to stop and try it from a different angle. However, Colin Garrow handles this problem quite deftly without over-using the dreaded pronoun. Mr. Garrow has created a rather complicated plot with all of the investigative dead ends, discoveries, and twists which are indicative of the genre. Yet I did not get lost or confused at any time. Also, when our hero Terry Bell uses his ingenuity to get out of tight scrapes, it always seems plausible. At only $2.99 (USD) on Amazon, this little gem is a bargain and comes highly recommended. You can also pay a visit Colin Garrow’s website here. Never was History so exciting, enticing, and revealing. 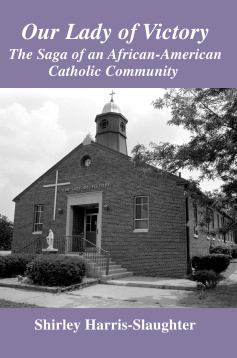 Within these pages, Mr. Woods divulges enough information to leave one feeling somewhat foolish for not knowing all of the contributions of the #Catholic Church. Woods negates many modern secular (and sadly all too common) bigoted anti-Catholic historical notions. If one believes that the Church was (and still is) an enemy of science, that economics started with Adam Smith, that human rights began with the enlightenment, or that the Medieval period was the “Dark Ages,” then this book will serve as an eye-opening cure. Thomas E. Woods, Jr. holds an A.B. from Harvard and a Ph.D. from Columbia. Of course, as a true academic scholar, Mr. Woods does not simply unload his personal opinions onto the reader. There is a staggering amount of painstaking research behind all of his claims. Yes, he quotes from the tomes of those medieval thinkers, but also from other historians who are not Catholic – some of whom even espouse a history of being unsympathetic to the Church. Yet they too agree with Mr. Woods, and thusly prove his points. The chapter on science alone makes this book worthy of one’s time. However, the author delves into the raw roots of other disciplines and philosophies concerning art, architecture, international law, and economics, to name a few. Woods’ treatment of the logic and reason-based proofs for the existence of God by St. Thomas Aquinas and St. Anselm also serve as enough of a reason to immerse oneself into these pages. I must admit, I had previous knowledge of some of the history, like the true story of Galileo, the Church’s creation of the university system, and the scientific method. However, this book has launched some new heroes for me, like Thierry of Chartres, Father Boscovich, and Father Francisco de Vitoria. If you would like a taste of this book without a purchase, there is a show on EWTN hosted by Mr. Woods entitled The Catholic Church: Builder of Civilization. Each episode could be described as a “talking-points-outline-lecture” for each chapter. I stumbled onto the show one Sunday evening and then promptly purchased the book. Besides his proofs about the Catholic Church’s role in history, Woods also espouses a discourse as to why these advancements did not occur within Pagan or Islamic civilization. How the Catholic Church Built Western Civilization by Thomas E. Woods, Jr. is one of the most pleasurable, enlightening, and enjoyable historical reads to ever grace one of my bookshelves. 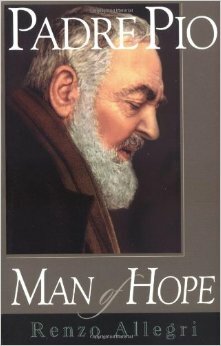 I was already convinced of Padre Pio’s blessedness before I read this book. Although if I were not convinced, I think it would’ve made me think otherwise. I liked Renzo Allegri’s journalistic approach. His writing is clean, crisp, and clear, no nonsense and all business. It is not a book that has a religious axe to grind, in the sense that it’s an attempt to proselytize and convert people. The book reads like a true piece of investigative journalism. Allegri draws upon personal and professional statements from doctors, clergy, and Vatican records. I can see some skeptics claiming that this book is an attempt to proselytize #Catholicism because of the conclusions it draws. However, Renzo’s final analyses are the results of logic and fact-finding that inevitably lead to supernatural conclusions, and bring total vindication to the status of Padre Pio’s sainthood. If you wish to be inspired by the life of the last stigmatist who was examined by twentieth century medicine, then this is a must-read. Molto bene Signor Allegri. 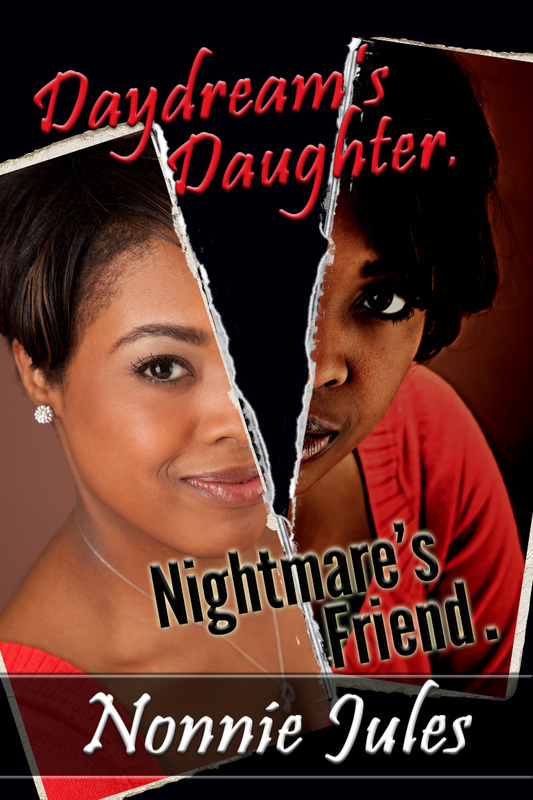 Daydream’s Daughter, Nightmare’s Friend starts with a proverbial bang and doesn’t let up. The saga of the main character Maiya James is a gut-wrenching punch from beginning to end. It makes the reader want to rail against the hypocrisy of our so-called justice system, and against dysfunctional parents. However, author Nonnie Jules balances all things. She presents us with starkly good and evil characters. For example, evil parents are juxtaposed with saintly grandparents. The same goes for the representations of guards, inmates, peers, and lovers. Normally, the errors listed above serve as a large stumbling block to a reader, but I got accustomed to it after a couple of chapters. With such a powerful story and characters, I looked past the formatting because I was pulled into the novel. Congratulations, Nonnie Jules, this novel is certainly a page-turner.